President Trump today defended the use of tear gas by U.S. agents against Central American migrants at the San Ysidro border crossing, saying that authorities “had to use” the chemical agent in Sunday’s chaos and dismissing reports that children were among those affected, as the Washington Post’s Felicia Sonmez reports. Ukraine today imposed martial law for 30 days in parts of the country most vulnerable to an attack from Russia after President Petro Poroshenko warned of the “extremely serious” threat of a land invasion, as Reuters reports. Meanwhile, at the UN today, U.S. ambassador to the United Nations Nikki Haley accused Russia of taking “outlaw actions” against Ukrainian ships in an incident at sea this weekend and vowed that sanctions punishing Russia’s annexation of Crimea would continue, as the Post’s Carol Morello reports. Four days before a summit with China’s leader, President Trump said he expects to move ahead with boosting tariff levels on $200 billion of Chinese goods to 25%, calling it “highly unlikely” that he would accept Beijing’s request to hold off on the increase, as the WSJ’s Bob Davis reports. And, check out the CSIS Trade Guys micro website. Nearly four times as many Sunni Islamic militants are operating around the world today as on September 11, 2001. Source: “The Evolution of the Salafi-Jihadist Threat,” by CSIS’s Seth Jones, Charles Vallee and Danika Newlee. — Editorial in state-run DPRK Today about CSIS’s report on North Korea’s undeclared missile bases. 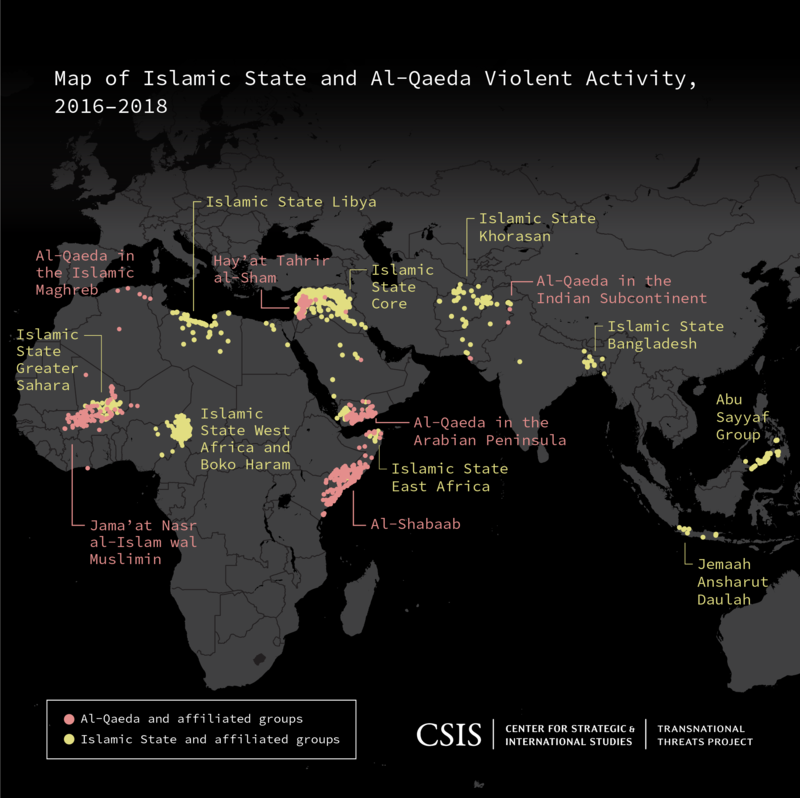 Despite the Islamic State’s loss of territory in Iraq and Syria, the global Salafi-jihadist movement is far from defeated. Read the new report from CSIS's Transnational threats project here. (Photo credit: NASA/JPL-Caltech). This is the first image taken by NASA’s InSight lander on the surface of Mars. 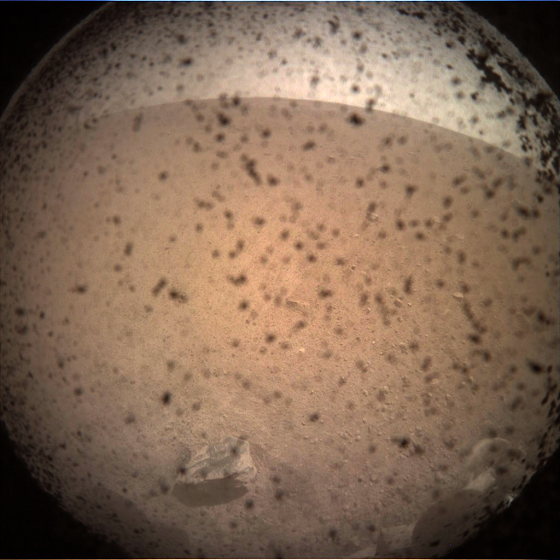 The instrument context camera (ICC) mounted below the lander deck obtained this image today, shortly after landing. “China Rules: The World, Built by China,” by the New York Times’ Derek Watkins, K.K. Rebecca Lai and Keith Bradsher. At 9:30 a.m., CSIS will host its 2018 Global Security Forum: Prospects and Priorities for U.S. Gray Zone Competition, featuring a discussion with former NSA Director, Adm. Michael S. Rogers. Later, at 12:00 p.m., New America will discuss how encryption saves lives and fuels the U.S. economy. And at 1:30 p.m., The Atlantic Council will hold a discussion on the USMCA's implications for consumers and the road ahead for Congress. Venezuela was once considered the ‘Switzerland of Latin America.’ 20 years later, it has become one of the most pernicious humanitarian crises in the world. Find out "What's Happening" in Venezuela. Trade Guys Scott Miller and Bill Reinsch explain trade, how it affects policy, and how it impacts your day-to-day in ways that everyone can understand. 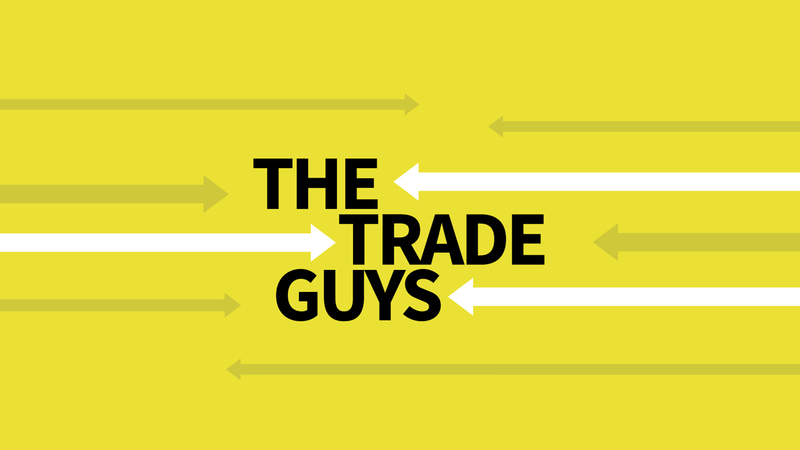 The Trade Guys is hosted by H. Andrew Schwartz and produced by Yumi Araki. I hope everyone had a Happy Thanksgiving. One of my favorite family moments over the holiday was seeing the movie “Creed II,” with Michael B. Jordan and Sylvester Stallone. My sons loved it, my wife loved it, and so did I. It spurred an extended family discussion about the Rocky series and Creed spin off. My sons said that “Rocky II,” without a doubt, was their all time favorite of the Rocky series. They asked me what my favorite was. I explained that seeing “Rocky” the week it premiered in November of 1976 (42 years ago last week) was a life altering experience for me as it was for many. That year Rocky won the Oscar for “Best Picture,” but it was so much bigger than any award could ever convey. Sure, “Rocky II” had its satisfying moments—as Rocky famously said, “Yo, Adrian, I did it!” A powerful movie indeed. But the original Rocky was raw, deeply emotional (even pathetic and sad at times), uncompromising and unrelenting. The South Philadelphia life that Rocky lived on screen felt so authentic and vivid—my family is from West and North Philly and anyone from the City of Brotherly Love will tell you how “real” the original Rocky is.